We said that social media platforms Facebook, Twitter and Instagram are doubling down on their efforts to seamlessly bring video content to the mobile screens of their users by embedding video in their native applications. Prior to that, In July 2014, Facebook announced that video views exceeded 1 billion each day but by the end of 2015 Facebook hit 8 billion daily views. As consumers rely more on visual, rather than text content, using video to introduce your company or product to the world can no longer be seen as a mere suggestion, rather, it should form an integral part of your strategy in marketing your company. • It’s all about leads right? Video marketing will get 66% more qualified leads per year. • Add video to your emails; in fact, using the word ‘video’ in an email subject line boosts the open rates by 19%. • Selling a product? 84% of consumers have bought something after watching a video. • Consumers prefer video with a staggering 85% of them saying they’d like to see more video from brands in 2018. I’m convinced, So what kind of video content can I use? Explainer Videos: Often seen on product pages or the home page of websites explaining the services or products provided by your business. Tutorial Videos: Ever needed to know how to use or fix a product? You go to YouTube and type “How to (insert query here)” and get given many options for videos that will help you solve your problem. This is a great way to get a potential buyer engaged in your product. Testimonials: There is no better marketing than happy clients spreading the word. Why not record some of their remarks to add to your website or social media platforms. Advert Videos: A short 30 to 60-second video you can use to promote your business and boost on social media can go a long way to reaching your audience. How can Rokkit Digital help me? 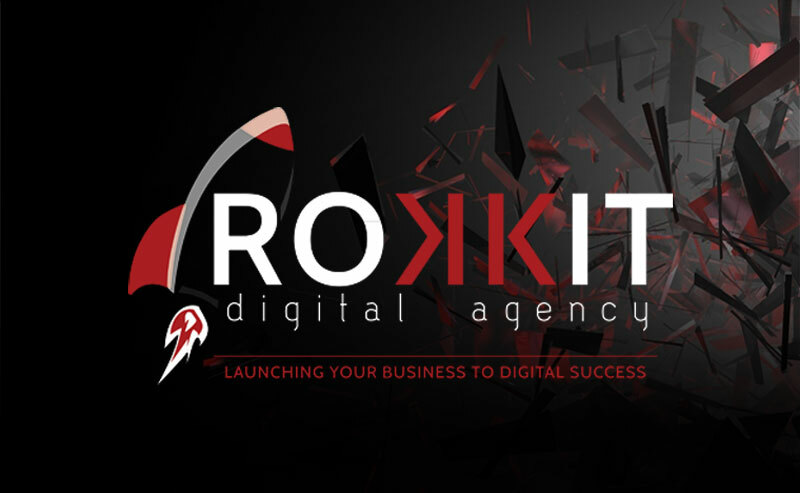 With digital marketing continuing to evolve, Rokkit Digital Agency has put in a great effort to stay ahead of the curve. Our in-house team of copywriters, designers and videographers have the experience and tools required to create video content to take your business to the next level and our service will ensure that you have a top class visual product to integrate into your marketing strategies. It’s all about mobile. Half of all YouTube videos and 90% of Twitter video views are on viewed on mobile devices. Mobile is most definitely the future. With that said, is your website optimized for mobile devices? If not, you may be missing out a lot of organic traffic as Google starts to prioritize mobile-ready websites in their search results. 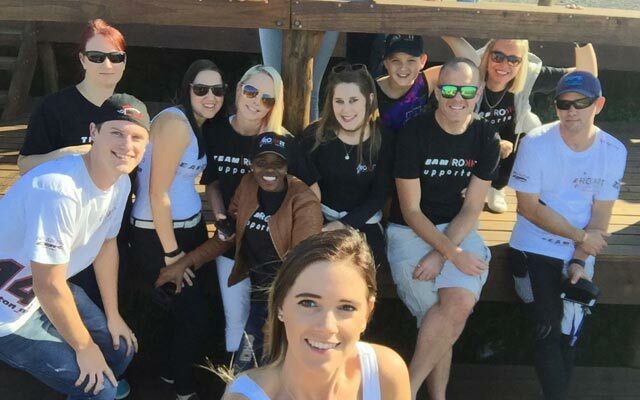 With half of the Rokkit team based in Johannesburg, and the other in Durban (and one in the Free State), getting the team together for a face-to-face social event is always a great opportunity to further strengthen work relationships, and of course friendships. With new members having joined both locations, it allows us to put faces to names and voices in a social and somewhat casual team building environment. At Rokkit we value creativity, and are cognisant of the fact that for most of day and the week, we’re hunched over our computers designing, developing and generally launching our client’s digital ambitions into the stratosphere and beyond. But, these Rokkiteers at station command (or anyone in any business) needs refuelling from time-to-time, and without stepping away from work and all our tech, creativity and creative thinking can hit a wall. Team building events, social gatherings or just taking a walk in sunshine during a lunch break are all refuelling opportunities we encourage at Rokkit Digital. 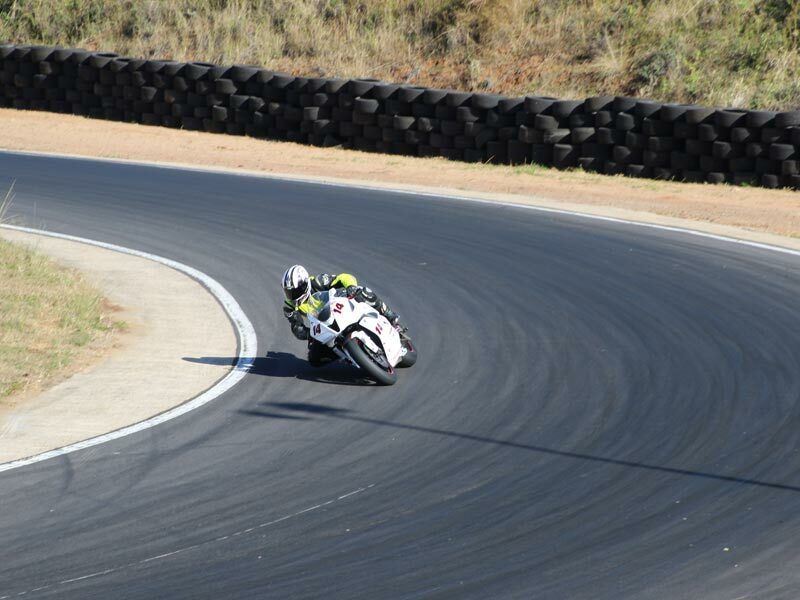 Our COO and team leader, Clinton Massey-Hicks has been riding motorbikes for many, many years and more recently competing for glory on them in KZN Road Racing Club Championships. This setting provided the ultimate opportunity for the perfect team building/social meetup outside of the normal work environment. And so we gathered as many of us that could make it to a day of car and bike racing on the South Coast of Kwa-Zulu Natal. 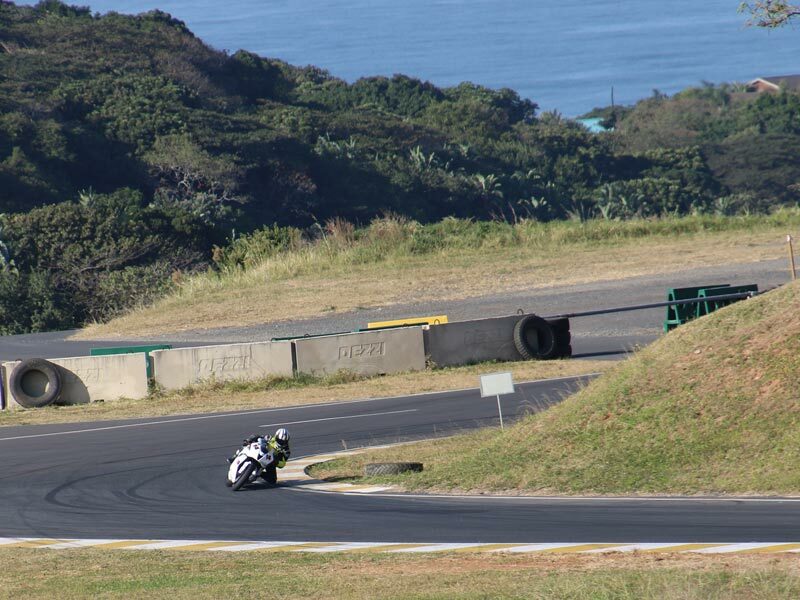 Set in the rolling hills of the South Coast and just 10 minutes’ drive from Port Shepstone, is Dezzi Raceway, a short 2.5km track compromising tight, technical corners, blind rises and elevation changes. 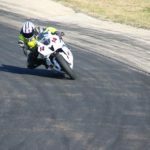 A technical challenge for motorbikes, and a dream playground for road-based race cars. 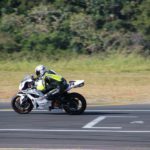 Arriving late in Durban on Friday evening, it was early to bed for the Jozi based team, in anticipation of an even earlier rise for the beautifully scenic trip down the N2 to Dezzi Raceway. And with Durban winter weather at its finest, the scene was set for an action-packed day of racing, starting with a drivers briefing at 7 am sharp. The format is simple; qualifying followed by 2 races – race one before lunch and race two after – with prize giving closing out the day. 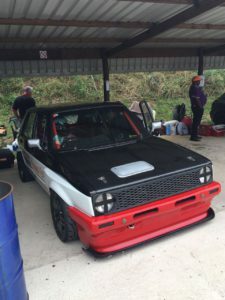 For spectators, there is a class of racing to suit all tastes from four wheels such as Porsche Cup cars and modified saloons to motorbikes bearing iconic names such as Honda, BMW and Ducati. With the newly appointed CMH Ford Focus ST pace car – proudly co-sponsored by Rokkit Digital Agency*- dutifully leading out all entrants on their customary warm-up laps, racers compete over course of 10 laps, with a variety of different classes filling up the day. The noise is immense, the racing is tight and the action is packed. 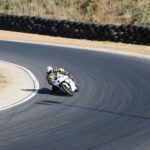 As a recent ‘biker’ myself, I was keen to see what was in store for two-wheeled machine lovers. 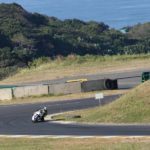 The action starts with riders as young as ten and eleven competing in the 150/NSF class, with the Breakfast Run – the class Clinton (no. 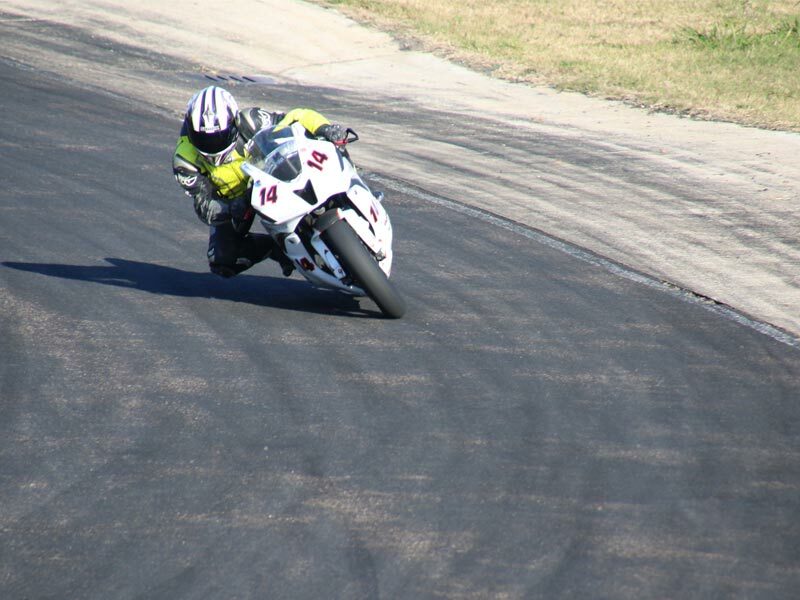 14) races in- and Formula Extreme Class, featuring bikes ranging from 600cc to 1000cc, providing the most extreme entertainment on two wheels. 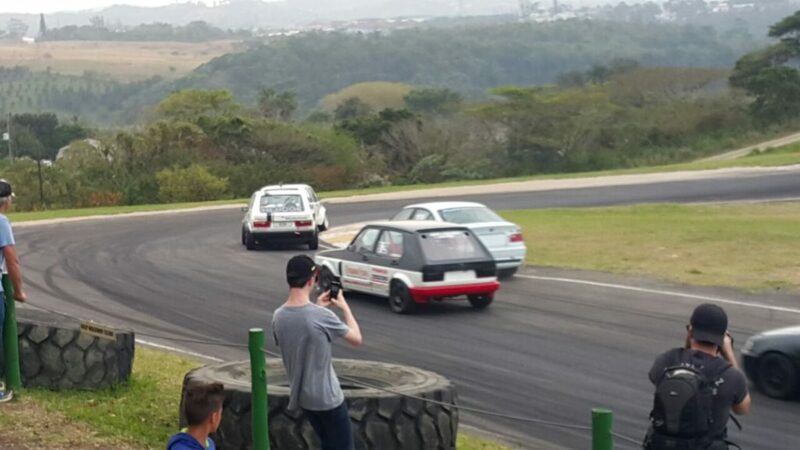 For spectators, Dezzi Raceway is wonderfully open and easily accessible with a variety of superb viewing platforms set up around the track, allowing fans to safely get as close to the action as possible. With the pit, and extended pit areas fully open, fans can get as close to the race machines as they can to the track, with riders and drivers more than happy to chat about their machines as well as relive stories of their on-track exploits. 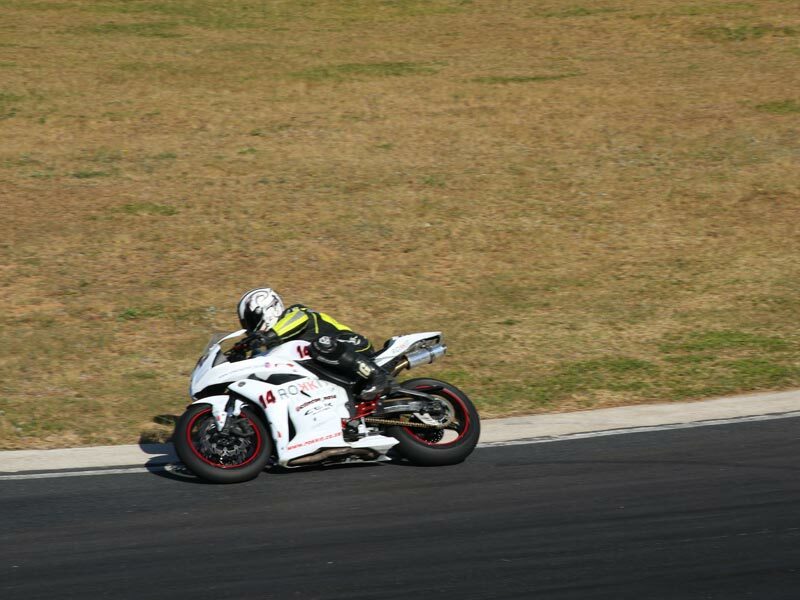 Considering a pesky tyre setup hampered his lap times, Clinton did exceptionally well finishing 2nd in his first race and 1st in his second race. And, with that superb points haul he is now leading the Breakfast Class B Championship, 18 points clear of Caitlin McKelvey. Go #TeamRokkit! With only a few races left in the season, the sprint to the title between Clinton and Caitlyn is sure be a close one. Be sure to keep an eye on our blog for further updates. 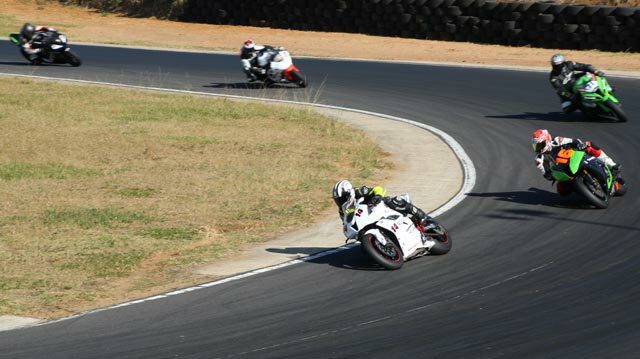 Till the next chequered flag. 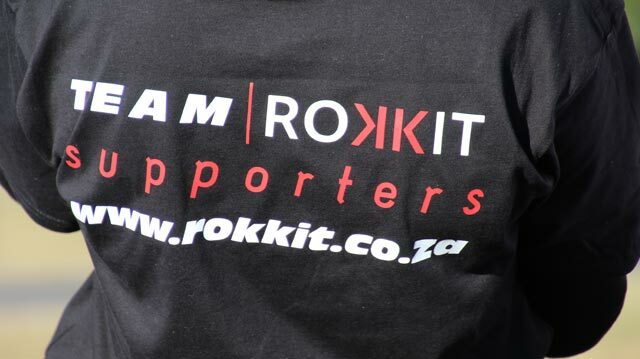 *As a local Durban digital agency, Rokkit Digital – along with CMH Ford who are keen to support local motorsport – are proud to be associated with the KZN Road Racing Club in sponsoring the official pace car. Congratulations to Team Rokkit driver Paul Tarboton who managed to pilot his bespoke, naturally aspirated Volkswagen Citi Golf race car to a fantastic third place in KZN Road Racing Club Championship ‘Tin Tops’ Class which took place in 2016. 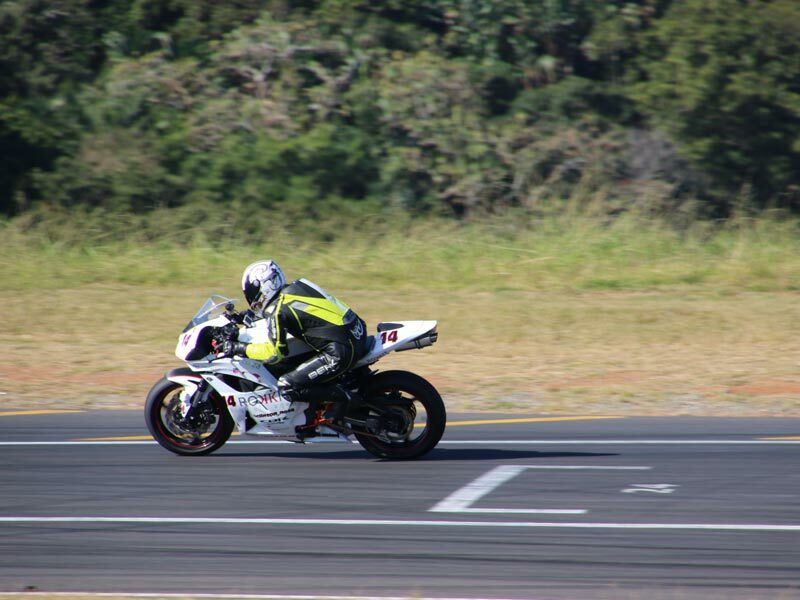 Held at the picturesque Dezzi Raceway, Port Shepstone, Paul managed to hold off stiff competition to come through for a very well deserved championship position, after missing the first two races of the year. 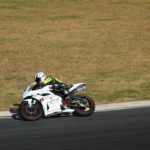 With some very tight racing throughout the year, and with Paul vying closely for the lead, had he competed in every race, Paul might’ve been able to finish even higher in the championship. 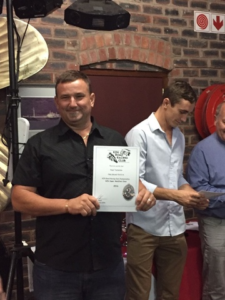 Well done Paul! As a proud associate and sponsor, we’re pretty certain that 2017 will bring you even more success and we’ll be seeing you higher on the podium.